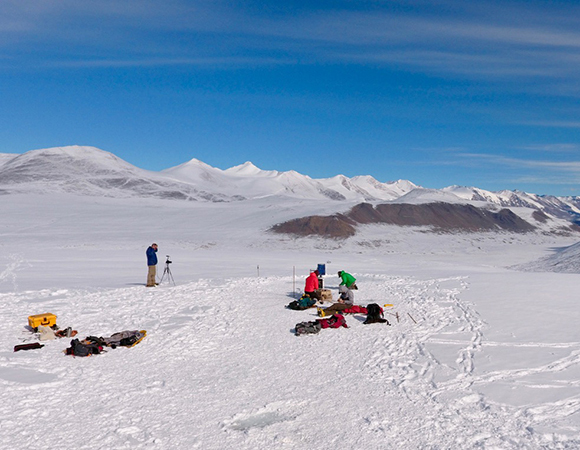 Cryoconite holes are pockets of life completely encased in otherwise barren glacial ice. 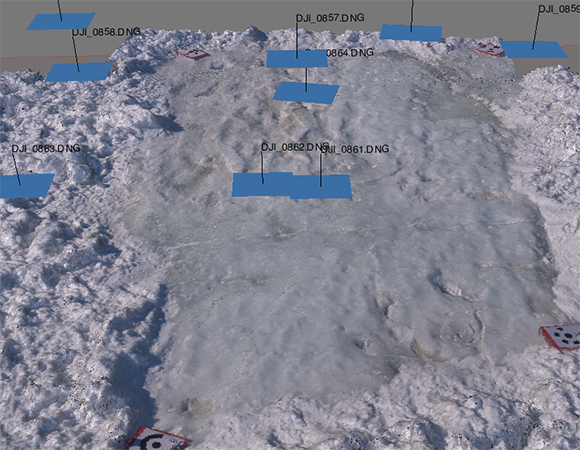 These features are formed from when dust blown onto a glacier melts a small, largely isolated hole that can function as its own tiny ecosystem. This dust can contain microorganisms such as bacteria, algae, or microscopic animals. The microorganisms within the hole interact and carry out functions typical of a larger ecosystem, such as a forest. 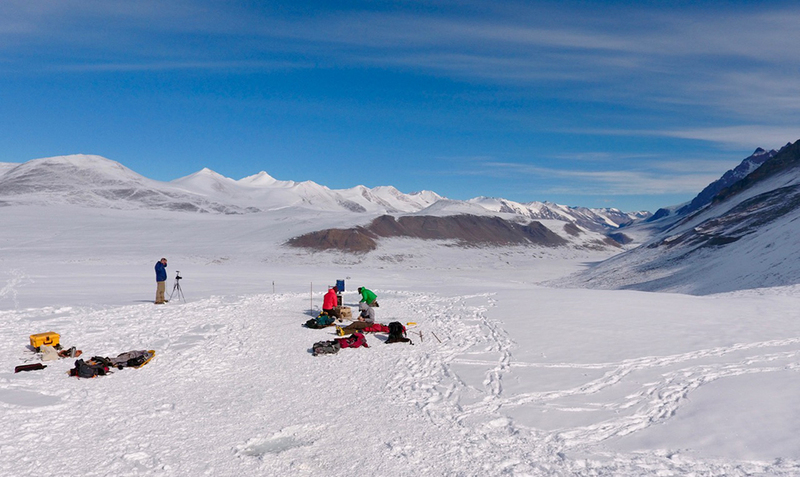 Cryoconite holes are especially important in extreme cold environments such as the Antarctic Dry Valleys, where they function as repositories of life. 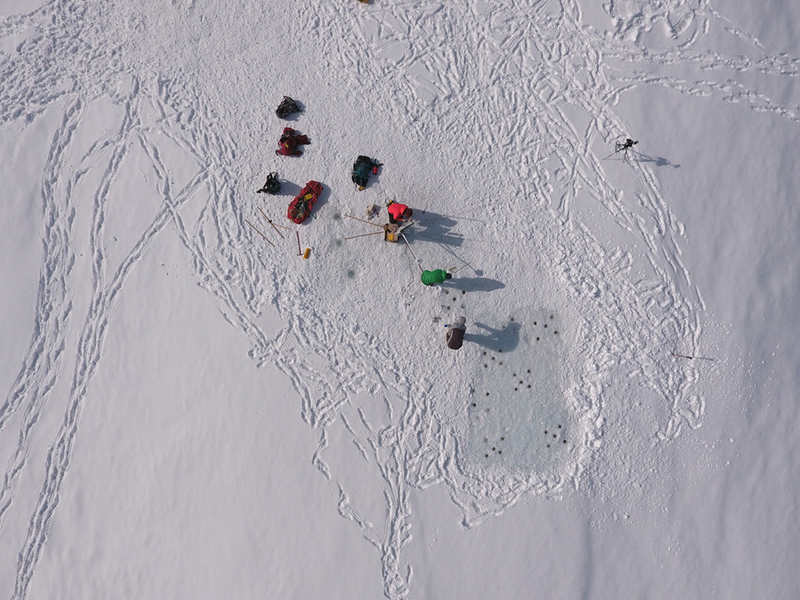 This project sampled existing and experimentally created cryoconite holes to understand how these ecosystems develop and to what degree random processes (such as which organisms get there first) affect the final community composition and functioning. 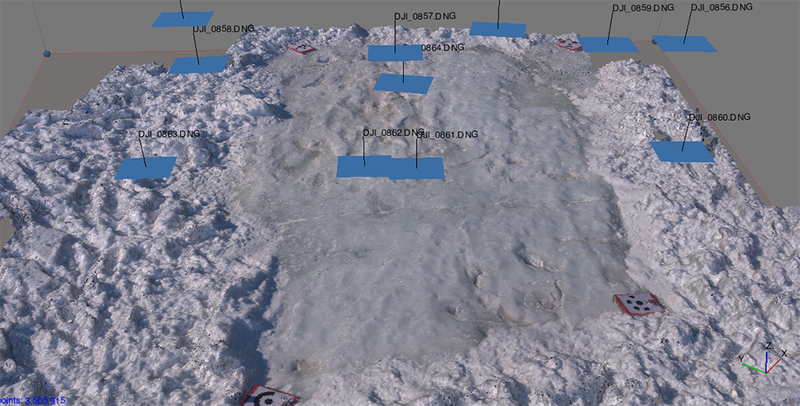 Unmanned Aircraft System (UAS) surveys will help to quantify the spatial distribution and size variability of cryocontie communities by collecting orthorectified imagery and feature mapping. 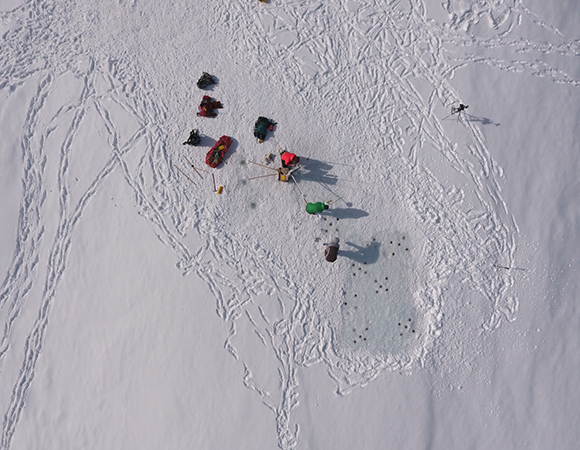 The results will not only improve understanding of how microbial communities assemble and affect the functioning of microecosystems such as cryoconite holes, but also how the processes of community assembly affect functioning of larger ecosystems, such as forests. A better understanding of community establishment, development, and response to abiotic factors are essential to forecasting ecological responses to environmental change. Scientists understand some basics of how biological communities are organized, but many details remain unknown. For example, what determines how many species live at one site? Or which species they are? Fundamental population dynamics and interactions have been successfully studied over many generations using microorganisms in test tubes in the laboratory, but their relevance to naturally assembling systems is unknown. 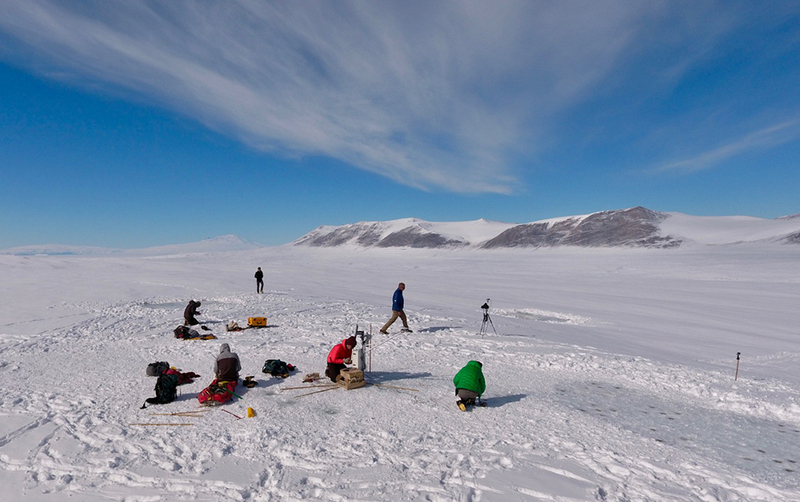 These ice-bound test-tubes, from the size of a water bottle to a paint bucket, provide an intermediate step of naturally organizing communities but of limited complexity. 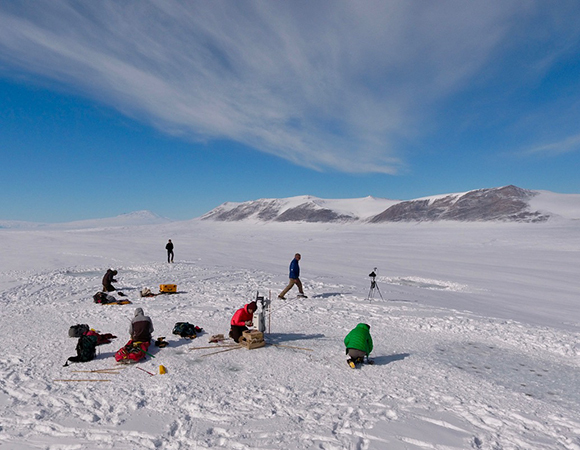 Over the course of three field seasons, the scientists will sample natural holes and build new holes to ask a few very specific questions such as species distribution and size. 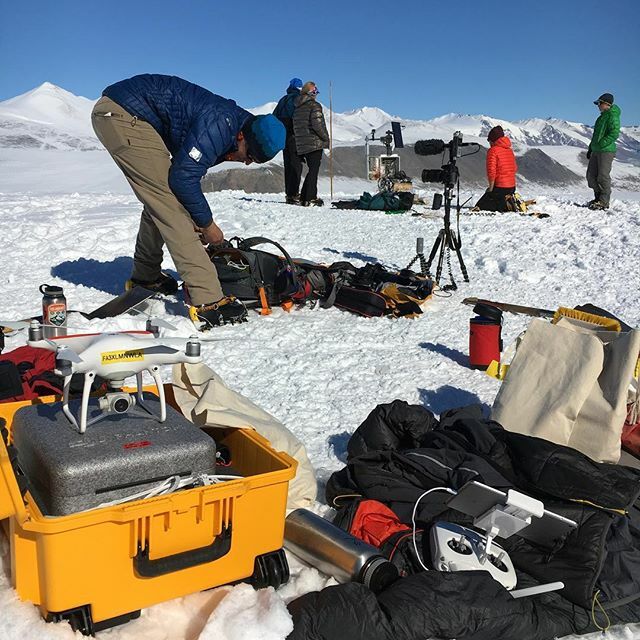 A UAS survey in Antarctica presents various logistical and weather challenges. Intensive pre-planning is required in order to assure the safety of field participants and any other aircraft that might be in the area. Once the flight planning has been completed, a survey can only proceed when the weather will allow safe flight. 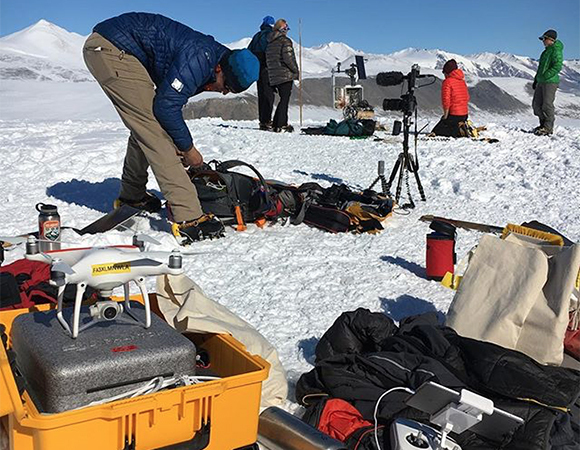 In Antarctica, a UAS can only be flown with air traffic control permission, which requires coordination with fixed wing and helicopter operations.